The director of California's Department of Motor Vehicles said she doesn't believe the agency made a mistake in dealing with long wait times throughout the state. While standing inside the Sacramento field office Thursday, DMV Director Jean Shiomoto said her agency shouldn’t be faulted for long wait times. The department has come under fire for wait times approaching eight hours at some offices. Lawmakers are offering the department more money to relieve long customer wait times. The DMV has already received $16 million in emergency funding to hire more employees. A bill passed Wednesday by the Assembly would put Gov. Jerry Brown's administration in charge of deciding how much money the DMV should receive, subject to approval by a legislative committee. Some lawmakers say the DMV doesn’t need more money and should be audited. Shiomoto has opposed an audit of her agency, and said the DMV is making improvements. The Senate has until Friday to approve the bill and send it on to Gov. Brown. Gov. 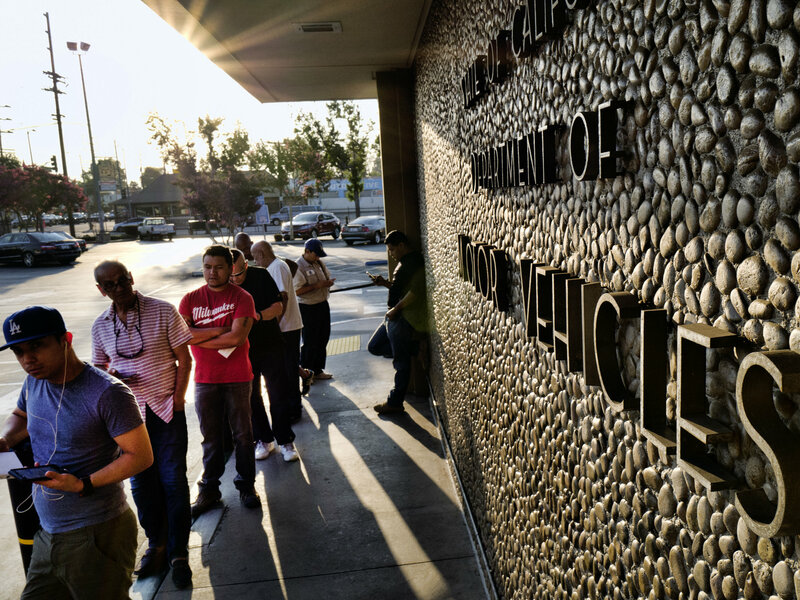 Jerry Brown ordered an audit Friday of the Department of Motor Vehicles in light of long wait times at field offices.